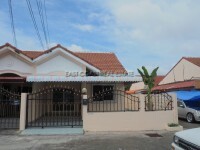 Pornthep 7 - Town House for 2 storey house for sale set on 18 sq.wah. Consists 2 bedrooms 2 bathrooms with no furniture, A built in kitchen in end of house with water tank, good location, convenience stores and markets, near motorway 7, Easy access to Pattaya - Bangkok. 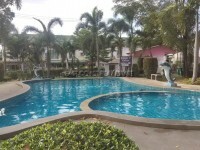 Facilities: 24 hour security and communal swimming pool. ** Deeded in Thai name Transfer fee 50/50 transfer tax bettween buyer and seller.